Here we come to the first difference. You can invite one person but you don´t have to. If you don´t you get the option to share the event with a link later in the process. This way you can send it via your favorite messaging service or via email. We will come to that later in detail. Now you have to pick your dates and your places. On our calendar view your see your appointments and the ones from your invitee (only available for Vyte users). So you can easily pick the perfect dates. To pick your favorite place just type the name and it will automatically show up. You can also see the place on a map. 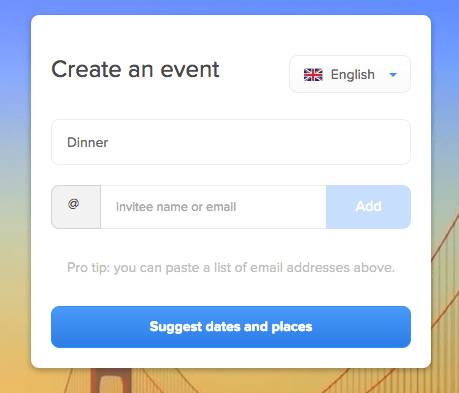 If you only pick one date and one place the event will be automatically confirmed and added to your calendar. On the next stage you are arriving at the event page. 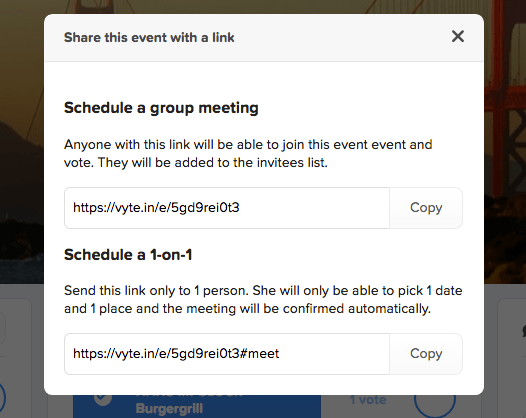 But in the case with no invitees, a popup will show up which shows you two links to share. One for group meetings and one for 1-on-1 meetings. The difference here is that for the 1-on-1 link the event gets automatically confirmed right after your invitee picked one time and one place. If the invitee votes for your options the event will be automatically confirmed and added to both of your calendars. 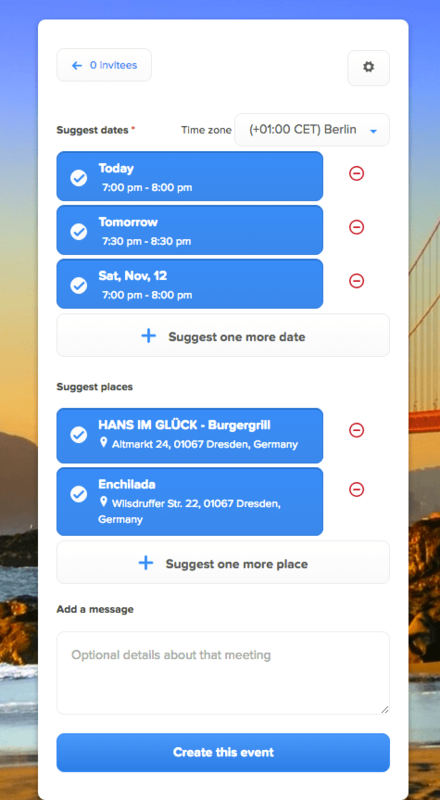 The invitee has also the option to suggest new times or new places. In this case the event only gets confirmed after you had picked one of the new suggestions (of course, you can also decline it). Schedule a meeting with Google : vyte.in is perfect for you!